PONANT, the world leader in luxury expeditions and extraordinary itineraries to ports of call that only small ships can navigate, has announced a compelling World Affairs Cruise in the Baltic. 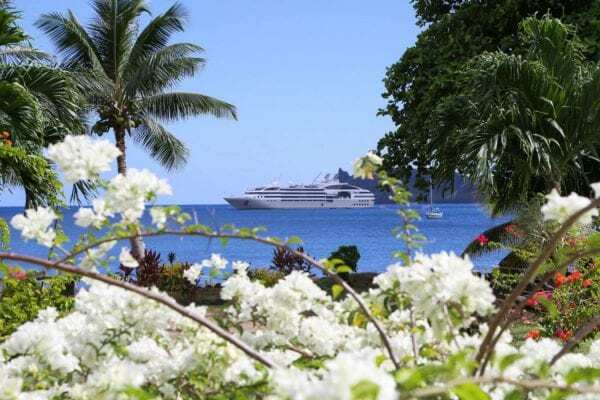 Scheduled for August 5 to 13, 2020, the eight-night cruise is an offering within PONANT’s Quintessential Collection, a series of cruises that delve deeply into a subject and/or destination. The cruise, aboard the soon-to-launched luxury EXPLORER yacht, Le Dumont-d’Urville, will begin in Stockholm and end in Copenhagen, visiting historic cities that ring the Baltic Sea, with two days in St. Petersburg. Fares start at $6,820 per person. The itinerary will be matched by an equally captivating on-board experience with an opportunity to interact with leading thinkers and policy makers about the current state of U.S. relations with the rest of the world. The timely program features lectures and discussions with former Supreme Allied Commander of NATO Admiral James Stavridis; former Ambassador to Russia and current President of the Carnegie Endowment for International Peace, William Burns; and journalist and author Robin Wright, a staff writer for the New Yorker and author of more than half a dozen award-winning books on international security matters. The cruise will visit the great cities that edge The Baltic Sea, a fascinating comingling of cosmopolitan life with centuries of rich history dating back to the Vikings. Two full days are spent in St. Petersburg, arguably the most magnificent city on the Baltic where virtually the entire city is designated a UNESCO World Heritage site. Ports-of-call include Helsinki, internationally recognized for its striking modern architecture, as well as Tallinn in Estonia, one of the best-preserved medieval towns in all of Europe. While on Gotland, the largest island in the Baltic Sea, a walking tour of the beautifully preserved medieval town of Visby, once a stronghold of the Hanseatic League, will be followed by a specially arranged private choral performance and reception at the St. Clemens Church Ruin. Before concluding in Copenhagen, the ship will stop in Szczecin, a city in Poland nearly destroyed during World War II and has since been completely rebuilt following the war as a testament to the city’s resilience.